This is about Damien Marley but … to begin with … I am not sure I know one person who doesn’t like Bob Marley’s greatest hits cd. You may not like to listen to reggae day in and day out but taking time for an hour of the ‘best of the best’? … once again … I do not know one person who doesn’t enjoy it. I was fortunate enough to see Bob Marley and the Wailers (at UCLA’s Pauley Pavilion of all places … of which it was a slightly different experience than seeing the Bruins play basketball in that the entire pavilion was filled with smoke – ceiling to floor – and you could get high without ever smoking anything on your own). Anyway. Luckily for us good ole Bob had a healthy libido and a fertile soul because he has a slew of children still making music. Damien is the youngest of the Bob brood. His first release <Mr. Marley I think> and then his major debut Halfway Tree not only showed he wasn’t Bob reborn but also kind of showcased an evolution of the traditional reggae … some great reggae like rhymes overlaying a really unique blend of music … a classic reggae at its core incorporating threads of hip-hop, r&b and dance club styles. He is continuing his trend by crossing a bunch of stuff into reggae. He is doing what pop collaborators are doing with dance and hip hop but instead with reggae … and he is doing it by himself. 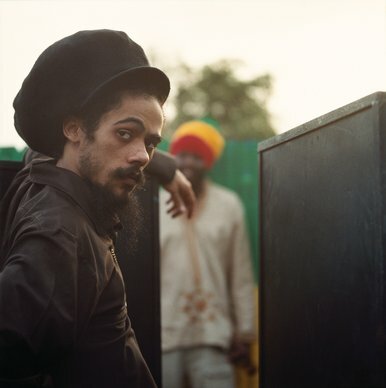 And while this song I think is kind of a crossover and feel good he continues to take on the bigger social issues of poverty in his Jamrock style (he does a song called Welcome to Jamrock … an older song … that is tough love and reggae at its best). Affairs of the Heart is a reminder that reggae is alive and well. And that Bob’s legacy is alive and well. I have been thinking of writing about Linkin Park for some time. They have a new song called Burn it Down that actually got me thinking this is the time. They are the band I should hate but I love. I should hate them because they scream a lot <instead of singing> and the music is not the most well written music. But I love them because, first and foremost, they captured the voice of a generation. Old people probably call it angry music. Old people call it noise. I tell old people that it is the voice of their children. When they began they were about self doubt, self esteem, fear, pain, and insecurity … all typical things found in teens. And their music captured the feeling of “I have something to say” in every note and chord. I am not sure any band of that time captured the softer “I am talking to you” and the angrier “you are not listening to what I have to say and it is important to me” sense better. Somewhere I belong, In the End, Numb, One Step closer … if you wanted to know what your teen was thinking they were saying it. As older more thoughtful young men … they are the voice of a generation’s social conscious. They began with personal issues and have evolved into social issues <without ever losing sight of the personal aspect>. Their music is questioning the why and what aspects of all that is happening in the world today. And they continue to do it in their powerful rock riff chords balancing the talk rap and Chester singing thoughts and screaming questions. Burn it Down is all about building it … only to burn it down. And trust … and the failures of the ones you trusted. And the power to burn down what you have enabled to build. The power of a generation to … well … actually do something. The power to build. And the power to burn it down. The thing I love? It could be social awareness. It could be personal awareness. And that is life these days. What is personal is also part of what is happening socially. 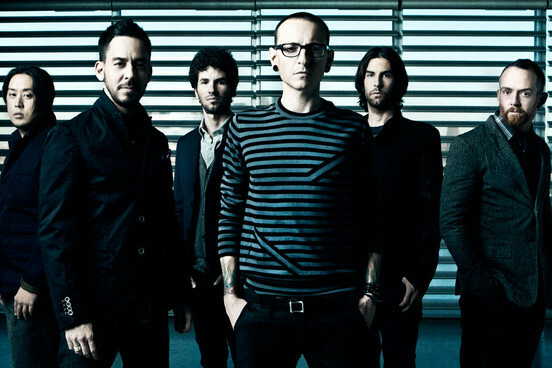 Their new song “burn it down” is the best of what Linkin Park is best at. It is powerful to listen to … musically and lyrically. And while the message is good, and interesting, the way the song is put together is superior. In the chorus they drop in a bone shivering lower octave synthesizer/organ just as Chester goes up vocally to sing “bring it up … to burn it down.” The combination of the low low and high melody makes for great listening. The video is one of their typical ‘lots of post production’ videos … they are always good for slowing down film to intensify movement and reversing film to give a surreal feel to some basic movement. Anyway. Really well put together song. Old people ignore Linkin Park as noise. And because of that they don’t listen. And that is a mistake <if they want to understand this generation>. Linkin Park has something to say. They had something to say ten years ago. They have something to say today. Their music is not for everyone … but their message is worth everyone listening to. This is about the band Garbage. I saw Garbage play at a small place called The Chameleon Club in the early 90’s. They were frickin’ awesome. Shirley Manson is as good live as she is on a cd and the band can replicate that dark grinding industrial sound perfectly in concert. Not incredibly loud but you still felt bruised from the music when you left the club. Anyway. They just released their fifth studio release called “Not Your Kind of People” after a seven-year hiatus. The new album was recorded in a basement. Most people know Garbage because of female lead singer Shirley Manson. The others are … Steve Marker (guitars/keyboards), Duke Erikson (guitars/keyboards) and Butch Vig (drums). 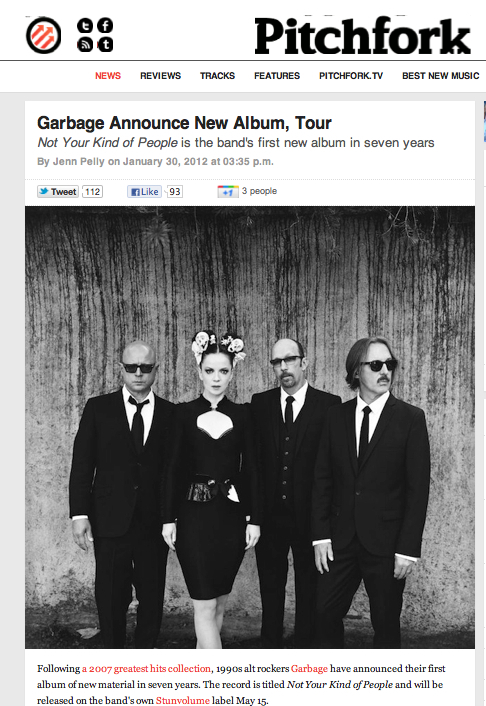 The new record is produced by Garbage, engineered by Billy Bush, and mixed by Butch Vig and Billy Bush. But everyone recognizes their music for its dark lower octave driving sound. They don’t write traditional happy songs <for gods sake … one of their biggest songs was “I am only happy when it rains>. Anyway. I kind of <in an odd way> think of them as the industrial rock version of Depeche Mode. Same dark overtones with heavier instrumentation <instead of synthesizers>. Back to their new album. Similar to some other bands from this past era they struggled with fame and had some band/personal issues. We started out on a really small indie label, Almo Sounds, and we were kind of the priority band on the label. But they went under after a few years, and our contract got sold to a bigger company. So instead of being on this cool indie label where we knew everybody, we found ourselves on Universal and Warner Bros. It all became very impersonal, and we’re not giant cash generators. We’re not Katy Perry or something like that. And we never wanted to be, really. But if you’re not generating that kind of cash for a company like that, you’re basically invisible. And I thought I would include my favorite Garbage song of all time … #1 Crush. Great band with what I believe is a truly unique sound (and most of you know I rarely use the unique word).